The public response to the new superhero movie Wonder Woman has been quite positive. In order to make these incredible superhero films, there is a lot of hard work that needs to be done on the visual effects side. We are all aware of the strong presence that computer-generated graphics have in these action-packed films, but sometimes the hard work that goes into making special effects grand is overlooked. Wonder Woman had an entire special effects team that was responsible for making sure Wonder Woman lived up to her name. On top of Wonder Woman being an iconic film for women on camera, it was just as iconic off-camera as well. Patty Jenkins was the director of Wonder Woman and she broke the record for best box office debut by a female director. In addition to Jenkins being the brains behind the film, Amber Kirch was the FX producer and was responsible for putting together all of the outstanding visual effects. One of the most amazing aspects of this film was the land of Themyscira. Kirch stated in an interview with Screen Rant that creating Themyscira was interesting because “it’s a land that doesn’t exist.” The team drew a lot of inspiration from Italy as well as China to create the perfect landscape for Wonder Woman. In the same interview with Kirch, she said, “ We touched almost every shot in some way. 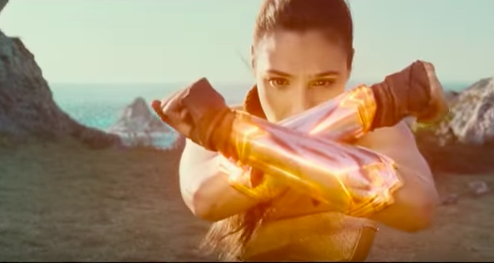 In the beginning of the movie we start with small effects, and as she gains her momentum as Wonder Woman, the effects get bigger and more extraordinary.” Kirch wanted to make sure that the effects of the film looked realistic and not animated, which meant that it required a lot more work, time, and effort to achieve the action shots. Kirch said in a different interview that the hardest scene to film was the beach battle scene at the beginning. She revealed that that scene had about nine layer of effects and that the team “needed to shoot each of those actions: the foreground, mid ground, and background actions all in separate passes.” The work that the special effects team put into that scene definitely shows and was well worth the effort. If you have not seen Wonder Woman already, please takethe time to go see it soon to appreciate the work that goes into the visual effects!